Subscribe to Serato DJ Pro’s Expansion Pack plan and take your DJ set to the next level. From Serato Video to a huge range of effects, you'll have all the tools of the professionals. Serato Play is advanced laptop-only DJing. It enables you to DJ without any hardware connected and access features such as EQ, FX, Filters, your other expansion packs and more. 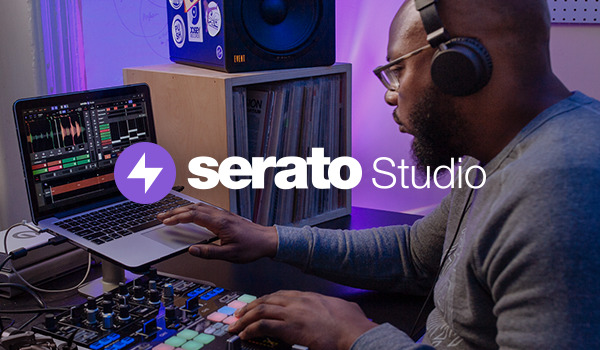 Become your own VJ with Serato Video. Control the playback of videos files just as you do with audio, utilizing Serato Video’s powerful visual effects and transitions, or add your own images, graphics and text to your performance. The Serato DVS Expansion Pack enables users with supported hardware to connect turntables or CDJ's. This gives the ability to control Serato DJ Pro using Noisemap Control tone CD/Vinyl. Flip allows you to record and playback cue point and censor actions, so you can reimagine your tracks in unlimited ways. Extend or shorten, make clean edits or completely remix and reshuffle your tracks. Shift and sync the key of your tracks as well as speeding up and slowing down your tracks to extreme tempos. Maintain perfect key while mixing, cutting and scratching without any loss in audio quality. Over 30 customizable DJ effects, powered by iZotope. From the essential Filters, Echoes, and Delays to complex and creative noise synths, dubbed out tape echos and retro 8-bit audio bending effects.